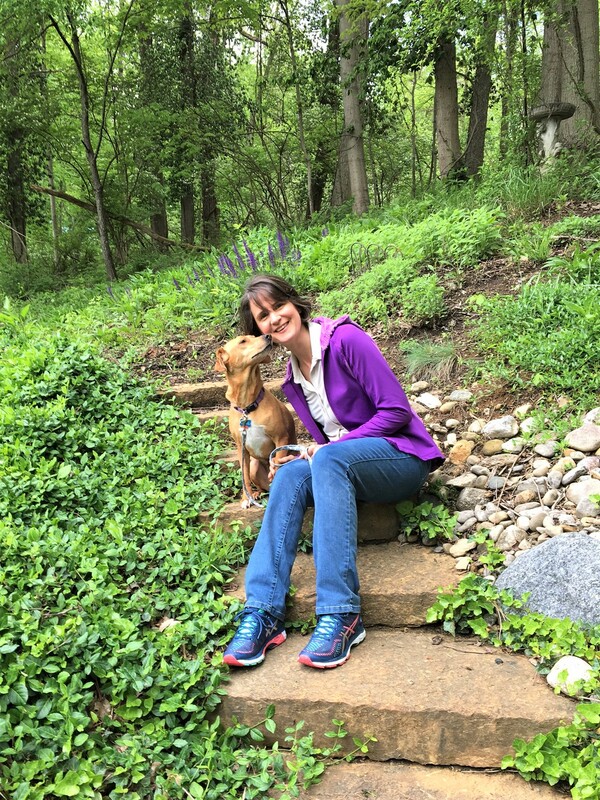 Returning to our “Women Working in Nature and the Arts” interview series, I’m happy to introduce Donelle Dreese. Donelle is an author and Professor of English at Northern Kentucky University. Her books include Cave Walker (Moon Willow Press), Sophrosyne (Aldrich Press), Deep River Burning (WiDo Press), Dragonflies in the Cowburbs (Anaphora Literary Press), A Wild Turn (Finishing Line), Looking for a Sunday Afternoon (Pudding House), America’s Natural Places: East and Northeast (ABC-CLIO), and Ecocriticism: Creating Self and Place in American Indian and Environmental Literatures (Peter Lang). She is also a lover of the great outdoors. Mary: You have a long career of teaching and writing about natural places, especially in the eastern and northeastern parts of the US. You have written poetry, academic studies, and novels. What led to your love of nature and desire to expose it in writing? Donelle: Growing up surrounded by the farmland and rolling hills of Pennsylvania influenced me a great deal. My childhood was spent outdoors–biking country roads, playing in dirt, running through cornfields, trekking through snow, and walking in the woods. I think my desire to write about nature stems from an awareness that my health and well-being are intensely dependent upon it, but I’m also fascinated by nature in every way—scientifically, artistically, philosophically, spiritually, politically. I could go on! I also love to explore the concept of “home” and a sense of place in both my writing and teaching. When I ask a class of twenty students how they might define “home” or how they perceive of their “sense of place,” I could get twenty different answers. And I’m always intrigued by the complex set of emotions that arise from the discussion. Mary: That’s interesting since eco’s prefix in Greek, oikos, can be interpreted to mean house or home–or habitat. Can you tell us something about your past novels, Deep River Burning and a YA flash fiction novella, Dragonflies in the Cowburbs? Donelle: Deep River Burning fictionalizes the devastating mine fire that turned Centralia, Pennsylvania into a ghost town. I grew up in Selinsgrove, a town very close to Centralia and remember quite well the media coverage of the mine fire. As I was writing Deep River Burning, I was interested in capturing how a community reacts in times of extended stress and long-term environmental trauma. But I was also watching the main character, Denver Oakley, evolve and heal after she moved to the coast of North Carolina. After experiencing unspeakable losses and a love interrupted, she was spiritually and emotionally charred. I spent a long time thinking about how a young woman would recover from such loss. Dragonflies in the Cowburbs is a Young Adult novella comprised of a series of closely interrelated flash fiction chapters/stories. The overall thematic arc of the novella presents the story of 17-year-old Francesca Butler (known as Fresca) told from her point of view as she spars playfully with her free-spirited mother and struggles to make sense of the loss of her father. Fresca’s love for insects, dragonflies in particular, help her to move beyond the pain of her father’s death. Fresca tells her story through a series of smaller stories to reflect memory as often fragmented and recalled as a non-chronological series of thumbnail events. While writing this novella, I was intrigued by the nature of memory and the roles of invention, reconstruction, distortion, and forgetting. Mary: Your previous novels sound interesting to me! Your newest novel Cave Walker (Moon Willow Press) was released on Earth Day this year. What’s happening in this story, and do you think it fits into contemporary eco-fiction? 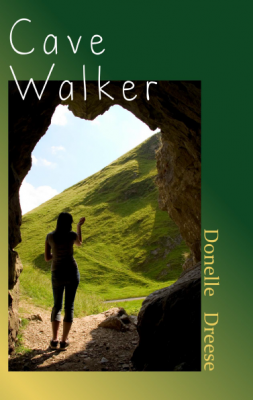 Donelle: My hope is that Cave Walker fits into contemporary eco-fiction in the sense that nature occupies a central space in the novel almost at all times. The Maine woods through which Gillian hikes to reach the holy cave is a character. Each cave is a distinct character. Even when Gillian can’t name the specific places she has visited, she defines them by the terrain and landmarks. Also, the lives of the characters are wholly intertwined with their environments. Neil works for the Coast Guard and Gillian’s father is a Permaculture Designer. Gillian’s mother owns a Bed & Breakfast in coastal Maine with a captivating view of Penobscot Bay, and her Aunt Celica lives in Monson, Maine, a small town that serves as a respite for Appalachian Trail hikers. Each character, human or nonhuman, provides a different glimpse into the kinds of relationships that exist between humanity and the natural world. A cave, for example, can be a home, a place of fear, a gravesite, a refuge, a laboratory, or a church. Mary: I was fascinated by the main character Gillian Berry. She’s independent and likes to think for herself on one hand, but on the other she can be vulnerable, like when trying to overcome her fear of going into caves or facing certain facts about herself. As with all good characters, Gillian is an ordinary person who becomes extraordinary. What inspired you to create her? Donelle: When I first developed the character, Gillian Berry, I had been meditating quite a bit and thinking about the intuitive intelligence we all have, and how it is often necessary to become quiet and exist in deep time in order to access this knowing. Around this time, I was also researching ancestor syndrome and was intrigued by the idea that trauma can become a part of a person’s DNA and be passed down through generations. These two influences converged when I began writing the novel. But also, independent young women who are forced to confront personal loss are at the center of all of my novels. I love writing about women warriors who discover they are much stronger than they ever dreamed they could be. Mary: The caves in the story serve as time portals, and Gillian has to investigate several openings in order to piece together the puzzle of her life. I found a strong sense of not just personal research but nostalgia of a prior world in which nature was wilder, more pristine. Is this something you could talk about some more? Donelle: Generally, I’m not drawn to the idea of nostalgia, but I am not surprised that you would sense a longing in my writing for a more wild and pristine world. Like so many others, I am extremely concerned about the environmental challenges our planet is facing. If we don’t have clean water and air, we don’t have anything, and the latest research in climate science is alarming. Mary: I read that you like hiking. As a runner and hiker, I am curious about that part of the country. What are some of your favorite hiking places and experiences? Donelle: This is hard to answer. I’ve had so many memorable hiking experiences. If I had to choose a favorite region to hike, I would say the Appalachian mountain region of western North Carolina and the Smoky Mountains. But, I also loved the hiking trails in Acadia National Park in Maine. Mary: Which authors and books inspired you when growing up? Donelle: I was most inspired by Jack London when I was growing up. I loved The Call of the Wild, White Fang, and The Sea Wolf. Mary: Those are some of my favorites too! Thanks so much for the chat, Donelle. For readers wanting to find out more about the author, please see her website. “I had been meditating quite a bit and thinking about the intuitive intelligence we all have, and how it is often necessary to become quiet and exist in deep time in order to access this knowing.” How apt this statement is when the book (which sounds fascinating, another one for my must-read list!) is about a woman exploring caves, pushing past her fears of what might lurk in them. In our cluttered urban world and work places, insisting on ‘deep time’ can be a challenge but a worthy one. Thanks for a very enjoyable and enlightening interview, Mary and Donelle.